Gold Rush Games has published this new system under the OGL. It's very much like a streamlined and revised version of Fuzion, and there are quite a few exciting products coming out for it. It's now become next to impossible to talk about RPGs wihtout mentioning d20 somewhere. d20 and OGL games have pushed the system far, far beyond D&D. Among the most radially changed and intriguing d20 variants are BESM d20 (just what it sounds like) and Mutants & Masterminds, an excellent d20 superhero RPG. West End Games is known for publishing the original Star Wars RPG, as well as Paranoia and some other favorites. After going out of business, WEG has been resurrected, putting out a refined version of its main house system as the flagship product. There are three core rulebooks for different genres -- Adventure, Fantasy, and Space, and a number of worldbooks and other sourcebooks on the way. Appleseed d6: An adaptation of Masamune Shirrow's Appleseed manga for the d6 system. The Freeform Universal Do-it-yourself Game Engine is a popular and highly flexible free RPG system, created by Steffan O'Sullivan and published in printed form by Grey Ghost Press, Inc. FATE: FATE (Fantastic Adventures in Tabletop Entertainment) is a highly customized version of Fudge, and all around excellent. Fudge Factor: A free online fanzine about Fudge. MicroFudge: A super-simple customized version of Fudge. Mudge: Mudge, or Mook's Fudge, is a custom version of Fudge, including a considerable body of traits and supernormal powers. Omar's Fudge Page: Home to many different Fudge articles, including a full space opera game. Tony's Fudge Page: Lots of nifty stuff, including FUDGE Cards. Obviously, the fact that half of the Fuzion titles out there are from RTG's AnimechaniX line, suggests that there's a possibility that it can be used for anime roleplaying. Fuzion is basically a mix of the Interlock system from Mekton Z and Cyberpunk 2020, and the Hero system of Champions and numerous others. Anime titles include Armored Trooper Votoms and Bubblegum Crisis. Want more good news? The basic rules (and numerous fan supplements) are available for free on the net! Anime Manga Roleplaying Network: A collection of online games, articles, and sourcebooks for Fuzion-based anime roleplaying. Atomik Fuzion: Quite simply, one of the best Fuzion sites around. Period. It currently includes five detailed general-purpose sourcebooks. Blue Submarine No. 6 RPG Project: A project to create a Fuzion-based adaptation of Blue Submarine No. 6. Lodoss War RPG: This is an adaptation of Record of the Lodoss War. Excellent. TranzFuzion: Netbooks culled from all over the place, as well as numerous links and plug-ins. Steve Jackson Games' flagship system; if you've done anything with it, you know full well that GURPS is probably the most flexible system ever devised. You can run just about any kind of campaign imaginable (and then some). The only real trick here is pulling together the sourcebooks you need; an anime campaign could easily need a dozen various general purpose sourcebooks, such as: Fantasy, Magic, Psionics, Beastiary, Ultra-Tech, Supers, Horror, Martial Arts, Aliens, Cyberpunk, and others, depending on the campaign. The only sourcebook for GURPS that specifically deals with anime thusfar is Mecha, which does a fairly good job of discussing anime-style roleplaying, and does a VERY good job of exploring the different possibilities of mecha, from your conventional military mecha to superhero machines to magical equivalents of both. GURPS Anime: This page features GURPS adaptations of a number of anime characters, including ones from UY, TM!, and A-ko, as well as a few from some Western animated series. Rare GURPS Items: Includes articles on anime/manga roleplaying and an adaptation of Pokemon. The basis of Champions and several other titles from Hero games, the Hero system is back for a Fifth Edition. The system is crunchy but incredibly flexible, to the point where the core rulebook will let you build just about anything. Surbrook's Stuff: Amongst other things, this site includes numerous write-ups of anime characters and world books for 3x3 Eyes, Silent Mobius, and Dragonball Z. Despite a poorly structured system and a tendency to be overly protective of their trademarks, Palladium's post-apocalyptic fantasy/horror/sci-fi setting has a little bit of everything, and with a little creativity, it can be made to include nearly anything imaginable. The Ultimate Conversion Page: This page has a variety of things adapted into the Palladium system, among them Gundam, Patlabor, Gaiarth, and M.D. Geist. A simple and elegant universal RPG, aimed at extremely rules-light comedy roleplaying. In short, it's ideal for certain kinds of anime. The Flames of Risus: House rules, including vehicles and special items. 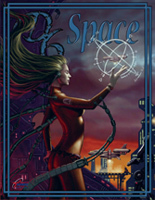 Lord.Zamiel.is.Dreaming: Lotsa nifty genre sourcebooks and such. Mobile Armor Fighting Team Risus: A mecha sourcebook for Risus. Risoid Chronicles: Assorted Risus stuff, including a character generator, house rules, campaign ideas, and more. Risus Supers: Rules and suggestions for comedic superheroes in Risus. 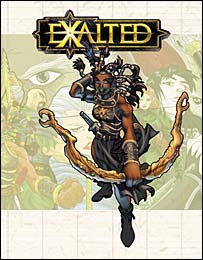 Pinnacle is best known for their DeadLands line, combining the wild west with pulp action horror. 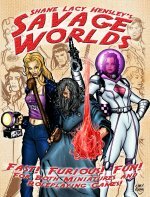 Savage Worlds is Pinnacle's refined and simplified house system, always carrying the motto of "Fast! Furious! Fun!" There's a core rulebook and several different supplements, each one a complete campaign for either roleplaying or wargaming. Although VERY hard to find, the SF:STG has considerable net support, even after White Wolf dropped it from their line. It's a fairly simple and fun game, although it suffers from certain flaws (which can be fixed by the many house rules to be found on the net). 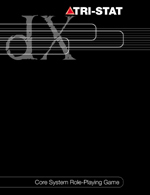 Tri-Stat dX is a generic version of GoO's Tri-Stat system, culling elements from BESM and Silver Age of Sentinels. The core book can be downloaded as a PDF for free or purchased in print for $10. 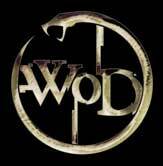 White Wolf Game Studio is best known for the World of Darness series, the new version of which starts August 2004. It doesn't lend itself all that well to anime without some fiddling, but the old Year of the Lotus books -- which introduced the supernaturals of Asia -- show a whole lot of anime influence. Exalted, on the other hand, is just about at the opposite extreme. It's geared towards over-the-top cinematic action, and characters can swing around giant swords, leap high into the air, and throw blasts of power while their animas blaze away. B.J. Zanzibar's World of Darkness Page: This page is a rather large collection of material for the various parts of the World of Darkness. It includes material for each of the five "core" games, as well as a "World of Darkness Potpourri" section which has general information, as well as new character types and other fun stuff. The Lethality Homepage: This page features all kinds of stuff, including info on Robotech in the Storyteller system. Senshi: The Merchandising: An over-the-top WoD parody of numerous magical girl anime series, and the World of Darkness in general.